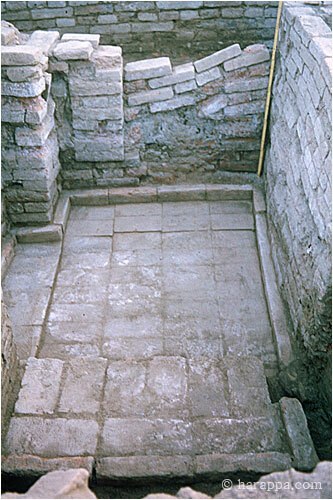 A bathing platform in UM area with blocked up doorway leading into the room. The brick floor was made with carefully fitted flat paved bricks and a smaller catchment drain along the side of the platform. A small step was placed at one side of the platform, and a ledge of finely fitted bricks protected the base of the wall.